JESUS CHRIST IS THE SAME YESTERDAY, TODAY, AND FOREVER – HE DIED FOR YOU! March for Jesus 2018! What a fantastic day that was! Just a few weeks after Artur Pawlowski receives the honorary Chaplain position for the province of Alberta from the prestigious Israeli humanitarian organization, The Magen David Adom, there comes another surprise. Artur Pawlowski receives the ‘Free Speech Award’ for his 7 years of on going defence towards the Canadian constitutional rights and freedoms. During those seven years the Pastor has been arrested 9 times and stood over 70 times before different courts, civil, criminal and provincial for his ‘crimes’ of defending the rights of citizens in the public square and for assisting the needs of thousands of less fortunate people in Canadian society. During these years he has been threatened and intimidated by the local authorities who were trying to force him to quit his advocacy work. He was repeatedly told that his humanitarian work brings too much attention to the crisis of homelessness in Alberta. In other words, the exposure he brings shows the local governments inability to deal with the problem of poverty. He received over a hundred citations and tickets but has never been criminally convicted proving over and over again their anti-Christian agenda. The recognition of this award came from the organization called (PGIB) The Progressive Group for Independent Business and it is worth mentioning that Canada’s Prime Minister Stephen Harper also belongs to this organization. Artur Pawlowski was invited along with his wife Marzena to a gala dinner to receive this award. In over 20 years of PGIB’s existence there has only been 2 other men that received such recognition. One was a Catholic Bishop named Fred Henry, and the other was a Jewish reporter named Ezra Levant, both are well known advocates for freedoms in Canada. Before the dinner Artur Pawlowski was asked by Ric McIver (Minister of Transportation) to give a prayer and a blessing for the food along with a short speech about honouring the veterans that fought for the freedoms that we enjoy today. During the dinner some citizens along with veterans were also honoured with The Queen Elizabeth II Diamond Jubilee Medal for their outstanding commitments in helping veterans across Canada. The Pastor was presented with the award in front of the people from the business community and Canadian veterans along with politicians such as Jonathan Denis (Minister of Justice and Solicitor General) and Ric McIver (Minister of Transportation) also some city aldermen were present. 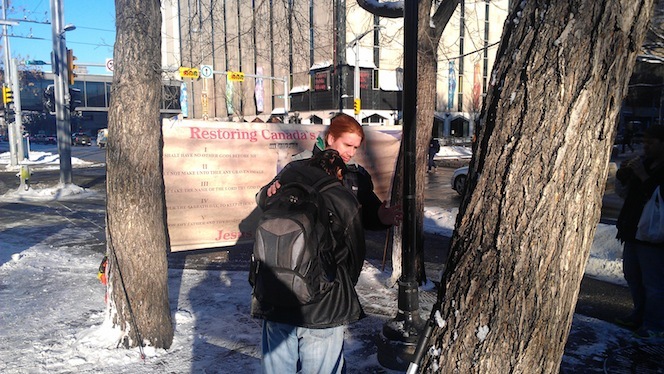 Today I am brought to remember two men I was able to minister to on the streets of Calgary. January 28, 2015 Artur Pawlowski Comments Off on Today I am brought to remember two men I was able to minister to on the streets of Calgary. April 9, 2013 Artur Pawlowski Comments Off on We have great news! Please take a moment to send us a donation so that we can continue preaching the gospel and ministering to Calgary's homeless population. For more details click here. 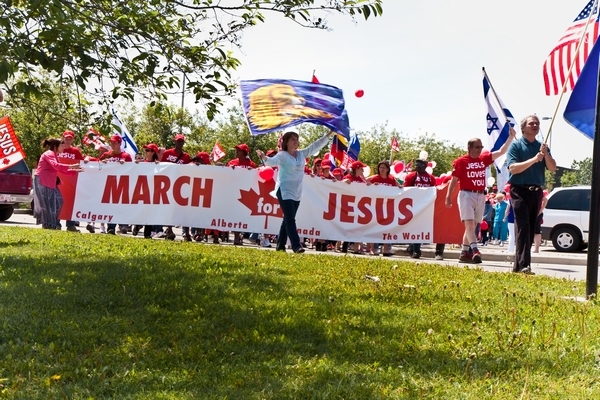 March for Jesus Calgary 2019! City Hall Prayer and Worship Service! Calgary, April 13, 6PM! City Hall Prayer and Worship Service! April 13, 2019 Calgary! Christmas Concert inside the City Hall in Calgary! Copyright © 2019 Street Church. All rights reserved.